"If the goal is justice...organize!" Weaving classic texts with interviews and their own context-setting commentaries, the editors of People Power provide the first comprehensive history of Alinsky-based organizing in the tumultuous period from 1955 to 1980, when the key organizing groups in the United States took form. Many of these selections—previously available only on untranscribed audiotapes or in difficult-­to-read mimeograph or Xerox formats—appear in print here for the first time. 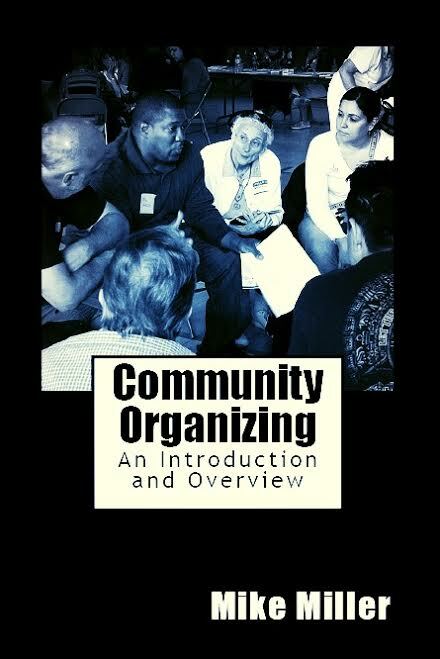 This book provides a brief introduction to what is variously called "faith-based," "congregation-based," and "institution-based" community organizing. Grounded in a composite case study of an actual organizing effort, it shows how local communities can be organized for power. Key organizing concepts and strategies are illustrated with stories of real encounters with leaders, communities, and powerful opposition figures. In the approach described here, civic and religious institutions come together to give the community a collective voice. Organizers help a community build a powerful organization rooted in core values of democracy and the social justice teachings of the world's great religious traditions. Saul Alinsky developed the foundations of the tradition of organizing described here, an approach that remains dominant in the U.S. today. Alinsky rooted power deeply in the lives, relationships, and institutions of marginalized and oppressed people. In his early organizing days, his organizations brought together a wide range of institutions: religious congregations and labor unions, as well as mutual aid, self-help, athletic, sororal and fraternal, neighborhood and other voluntary associations. By the late 1970s, as non-congregational neighborhood associations fell into decline, organizers in the Alinsky tradition started looking more carefully at how to sustain the vibrancy of the religious institutions that remained. Organizers sought to help congregation members become co-creators, rather than consumers, of the life of their churches, and worked to help members connect their faith more directly to action in the world. In this way, they helped make both faith and action more meaningful. The rise and fall of the multi-issue Mission Coalition Organization is recounted in A Community Organizer’s Tale, a richly detailed story of people power set in San Francisco’s predominantly Latino Mission District. Employing strategies inspired by community organizer Saul Alinsky and the Deep South civil rights movement, the organization defeated Urban Renewal, negotiated jobs for the unemployed, and protected low-income tenants from exorbitant rents, until it was ultimately weakened by federal “Model Cities” funding. ​Embodying the concept, recently returned to the public eye by its proponent Barack Obama, that “change comes from below” and combining colorful stories, lessons on organizing for social and economic justice, public policy analysis, a keen eye for American politics, and reflection on democratic theory, this is a thoughtful and hopeful antidote to cynicism, apathy, and powerlessness. This in-depth look at the organization of a five-hundred unit, HUD-subsidized, low-to-moderate income, housing complex in San Francisco by the team of organizers who put together the Geneva Towers Tenants' Association (GTTA) provides both a blow-by-blow account of the organizing process, and an analytic commentary of the lessons to be learned from it. The authors offer time-less lessons for organizers and a clear understanding of what organizing is all about for students and the interested public. The GTTA story illustrates the dynamics of direct action tactics as well as of the negotiating process. It includes human interest stories and plenty of action. The source of the quote at the top of the page is unknown.